I found myself staring at the fruit bowl on my table contemplating on which fruit I craved. The voice inside my head, said ALL! This is when I decided to see how it would taste if I combined the mango, avocado and orange. 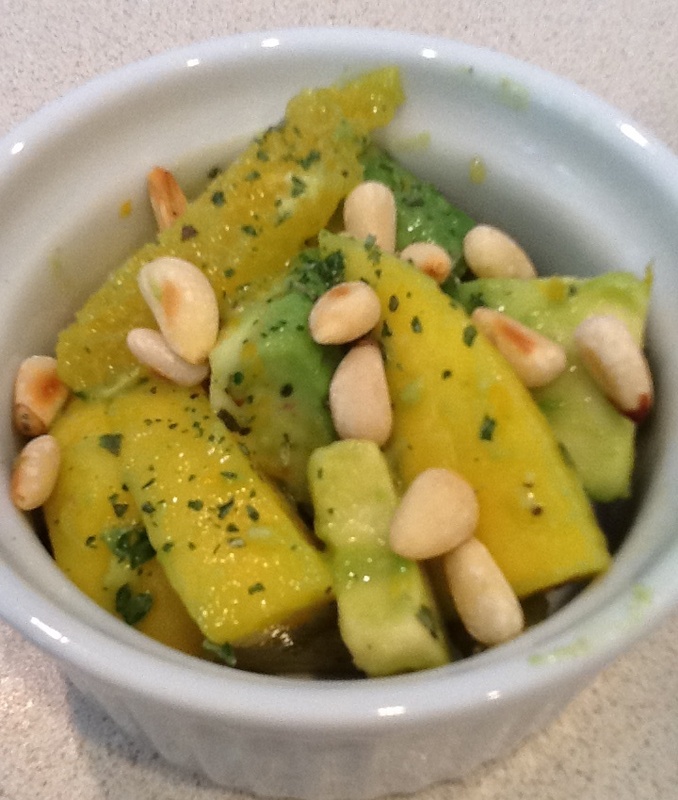 My little experiment, topped off with toasted pine nuts was DELICIOUS! Ahh, this is the joy of not-cooking and savoring the wonderful flavors nature brings us. I figured this would make a great salad for entertaining, especially in summer. Enjoy it my friends. Add all ingredients to a large bowl, gently toss to combine. Top with pine nuts. * Note, I’ll add fresh basil next time if I have it in stock.